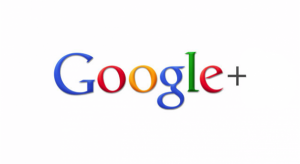 Your Google+ profile picture will soon be paired with your phone number. Google has made the announcement today as part of its new Caller ID. The system will be ready in 2014 and everybody will be in by default. Since the flip phones, the dialer and the contact list has remain mainly the same. This list has become something tedious to keep on date, and used to contain lots of names and phone numbers that not always remember to who they correspond. Android 4.4 KitKat has finally redesigned the dialer. The numbers of the people we used to talk to more often are prioritized, so when we want to call somebody, the searching will be more efficient. Another improved feature is the automatic search in Google Maps of local phone numbers for the incoming calls. In the case that the call came from a local business, we will know it. Now, Google has announced a step forward. What they are going to do is link the Google+ profile with the verified telephone numbers that we have included. The idea is to have a database of photos from the people that we call. So, if we define a Google+ profile, with a photo and one or several phone numbers, all the people will have the same information available in their respective contact list. They are going to see our Google + profile picture on their incoming call screen. And we only need to keep our profile on date instead of organizing the whole contact list. 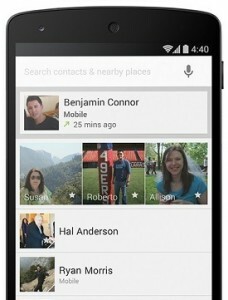 Hangouts is already using the verified phone numbers system to contact people through Google+ profiles. However, is not clear which Android version will be required to see the contact images associated with numbers, as it seems to be closely related to Android 4.4 KitKat new Phone app. The only information provided pointed to the implantation of this new service in early 2014. So, you better start updating your profiles!